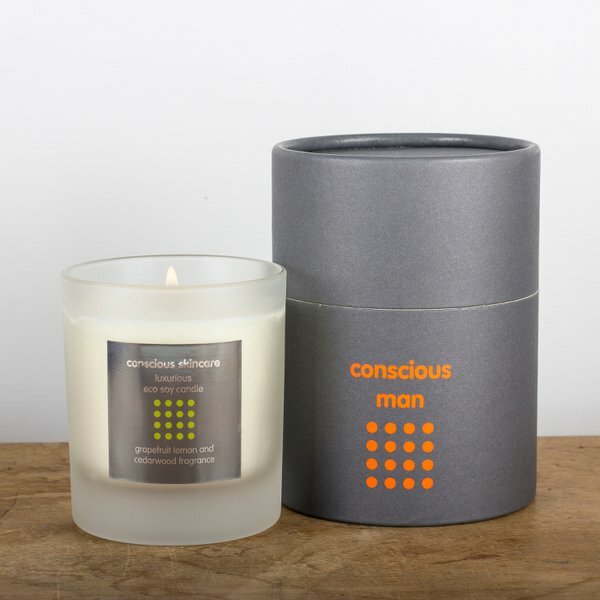 Conscious Skincare offer their Luxury Aroma Candle to enjoy anywhere you need to create your own environment and stimulate your senses. 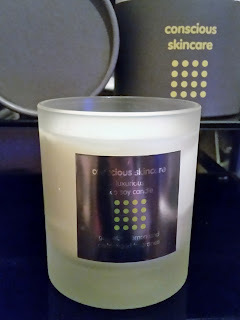 The packaging your candle arrives in gives this candle a sophistication, before you have even got to the candle itself. 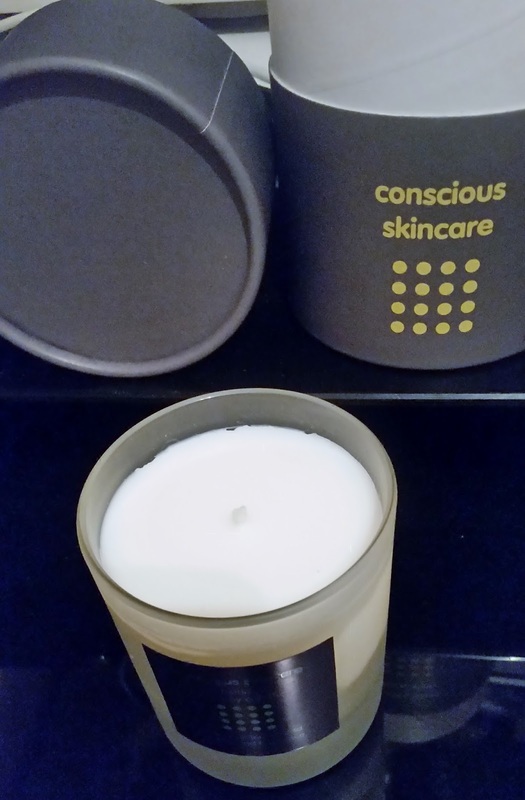 In a recyclable gift tube with Conscious Skincare printed on front and to access the candle the top slides up and off, you will then experience the scent that greets you. The candle that sits perfectly in frosted glass possesses the aroma of Grapefruit and Lemon with woody tones of Cedarwood that not only make your living space filled with an luxury aroma but will create a sense of stimulation to your mind and spirit. The candle is made with Eco Soy Wax, made with pure soybean oil and natural cotton, lead-free wick. The candle is created by an exclusive blend of fragrance oils and hand poured, creating a high quality candle that you will not have smelt or experienced before. Conscious Skincare candles are environmentally friendly and ethically produced. They are also biodegradable and manufactured meeting FDA standards. *Free from Animal Products, Palm Oil, Pesticides, Herbicides, GM Material, Petroleum. Paraffin and Beeswax. To store your candle it is advised to store below room temperature as your candle is made from 100% soy wax that could sweat slightly and the fragrance may appear at the surface, forming wet spots. This is not an issue as all you do is wipe the candle, this process happens naturally in 100% soy candles. Burn time on the candle is an impressive 50+ hours which gives you more time to enjoy this luxury candle than a standard one. 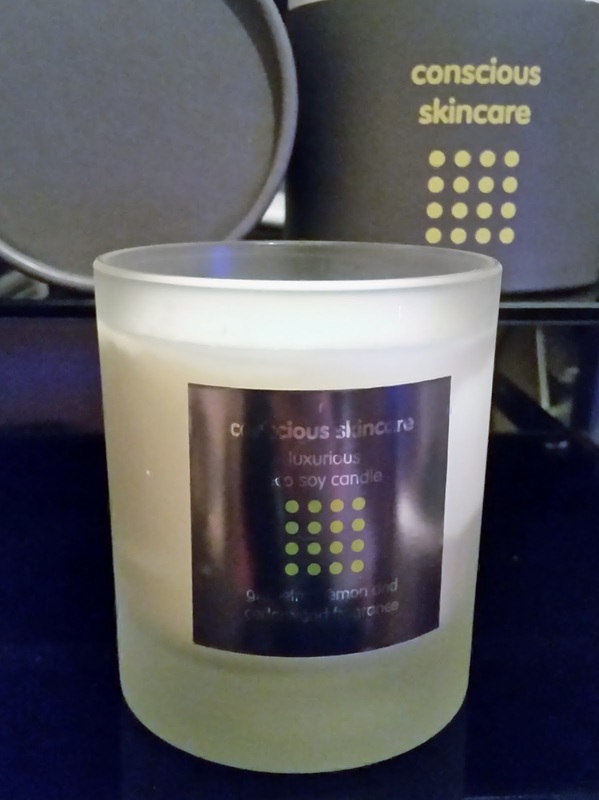 Thank you Conscious Skincare for making and packaging such a luxury candle that anyone can enjoy. Hit the link to discover these luxury candles. Keep out of reach from pets and children.